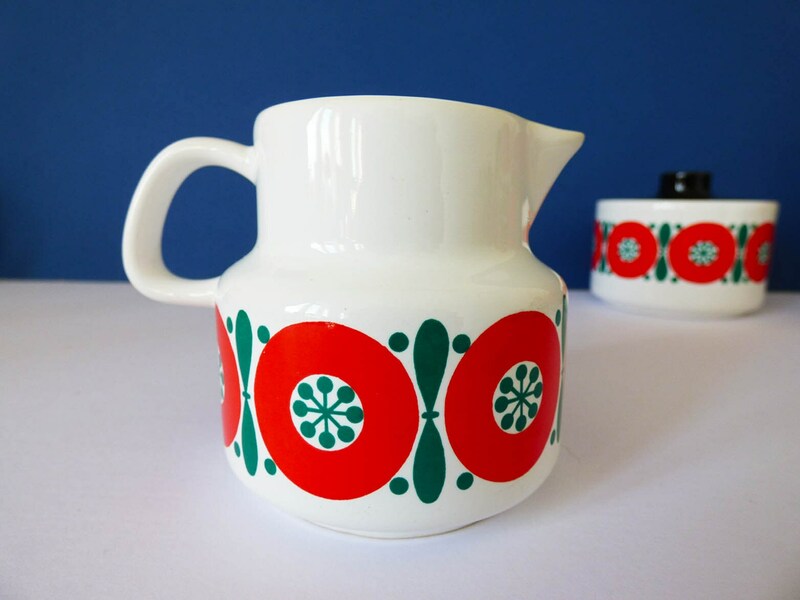 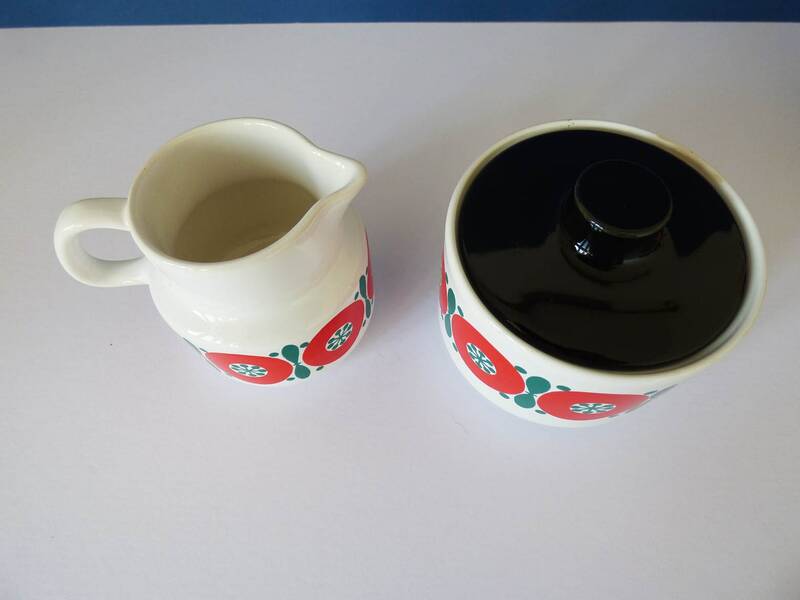 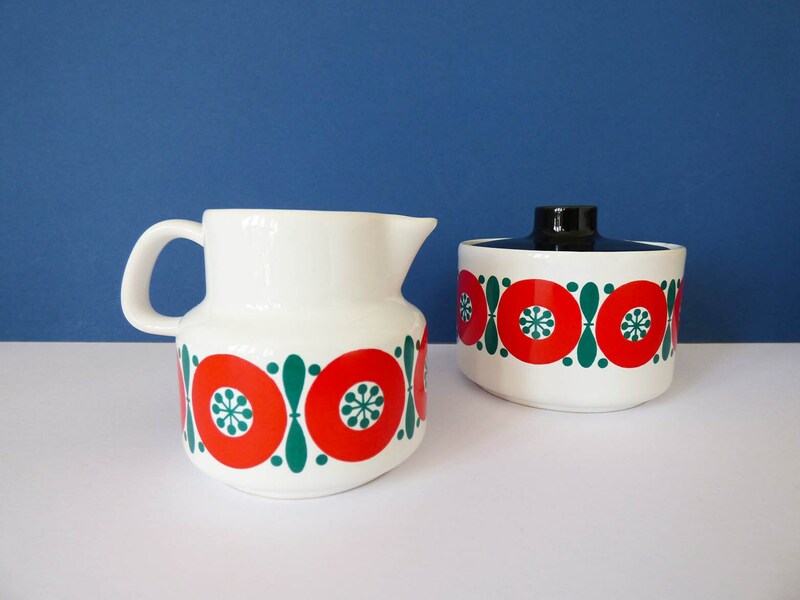 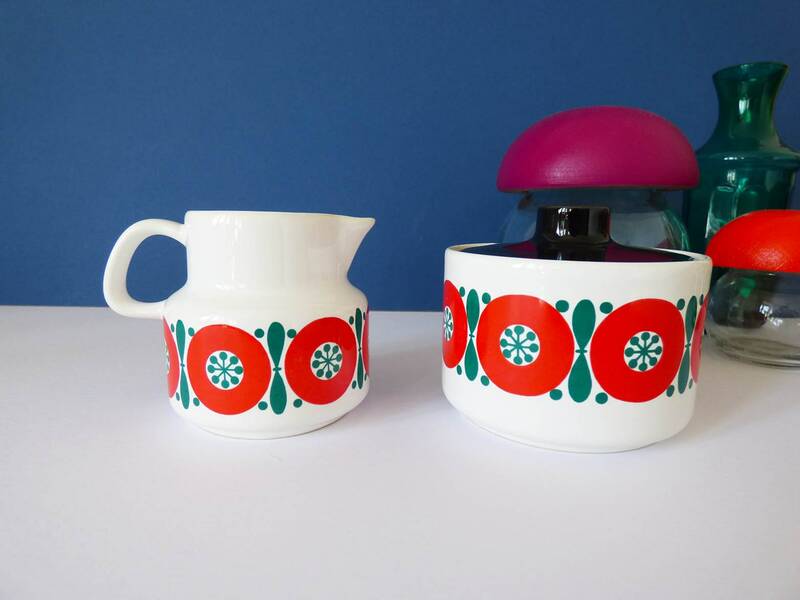 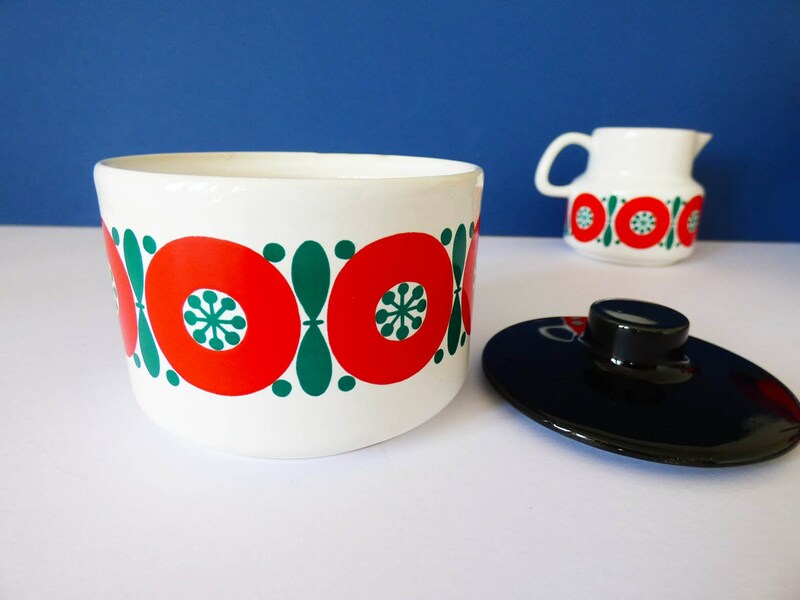 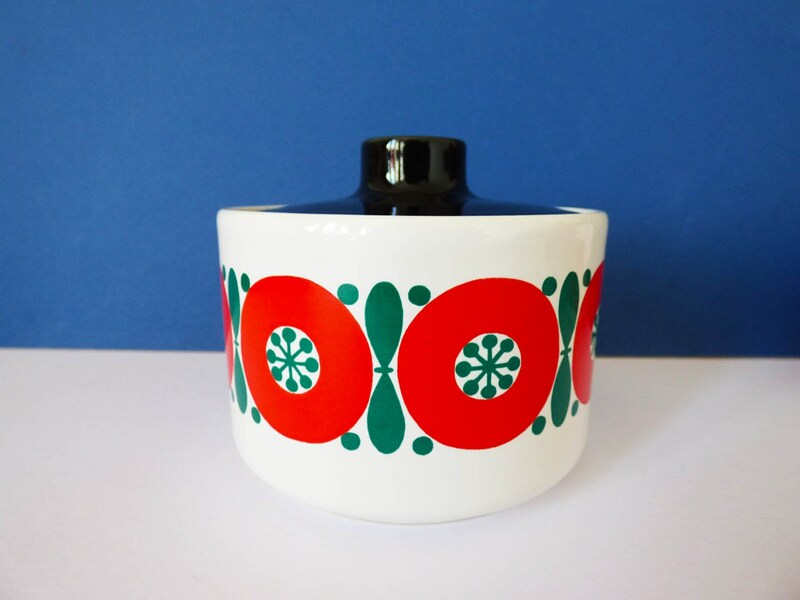 Mid-century modern design milk jug & sugar bowl from Melitta of West Germany, produced in white stoneware with a glossy screen printed design produced in red and green, The sugar bowls lid is glossy black finishing of the aesthetics of this duo perfectly. 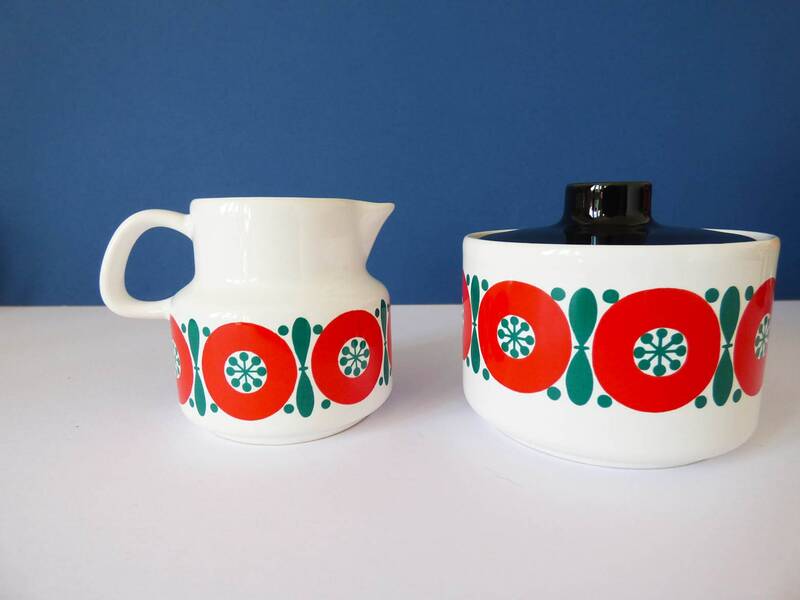 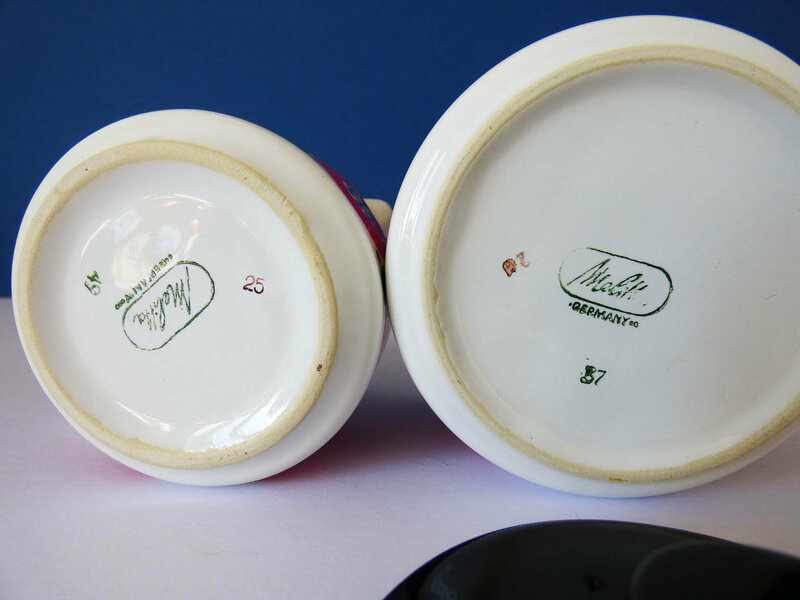 If you love a little vintage modernism these are a must have for your collection. 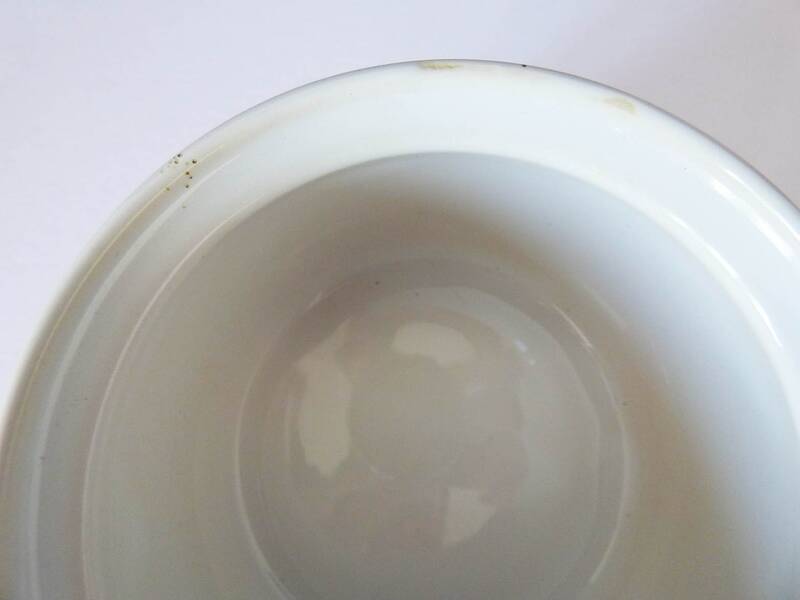 The condition is great, no crack chips or crazing, but there is a tiny dotty patch on the rim of the sugar bowl where the glaze has bubbled before firing, see the last photo..